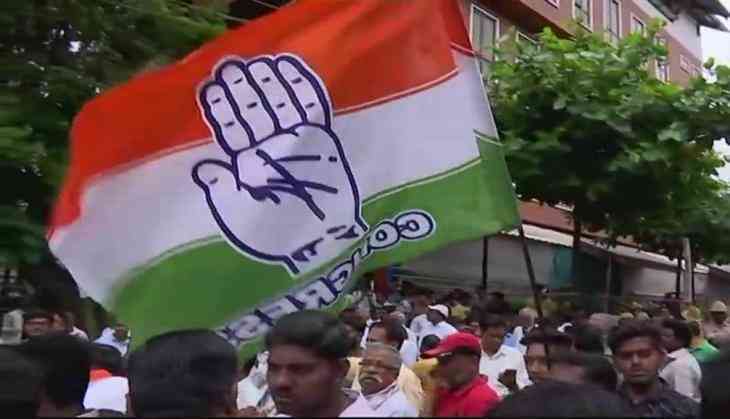 Ahead of the 2019 general elections, the Congress party has decided to collect funds for campaigning through crowdsourcing from its 10 lakh booths across the country. The mass campaigning for fund-collection will start on October 2 and will end on the birth anniversary of former prime minister Indira Gandhi on November 19. The party has set a target to collect Rs 500 crores, which would translate to Rs 5000 from every booth committee. The party has also instructed all its booth committees workers to go door to door and collect small amounts, like Rs 5 and Rs 10, from every household. These workers are also expected to distribute campaign flyers and pamphlets. This method, the Congress believes, would strengthen their hold at the grassroots level workers and supporters, who will feel more connected to the party by making direct contributions. Speaking on the issue, Congress leader Ashok Gehlot said, "Congress will start a campaign from October 2 to reach out to people, discuss state and national issues and collect funds. Our workers will visit every booth, talk about state issues and connect with people. Bigg Boss 12: Jasleen Matharu does not want to sleep on the same bed with boyfriend Anup Jalota and the reason is surprising! READ NEXT >> Bigg Boss 12: Jasleen Matharu does not want to sleep on the same bed with boyfriend Anup Jalota and the reason is surprising!